The Department of Justice’s National Institute of Justice recently promised a whopping $63 million to investigate school safety programs and to reward districts for implementing “restorative justice” and other related school discipline programs. 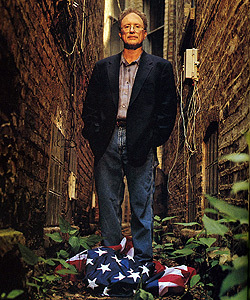 However, according to a review of past and current restorative justice initiatives in schools, the funding appears to be just another effort to expand whole-child social justice reforms touted by far-left progressive educators like William Ayers. Believing that the American education system is inherently racist and oppressive and students of color only act out because they are victims of that system, Ayers began writing about restorative justice alternatives to school discipline many years ago. Examples are his 1998 book, A Kind and Just Parent, and 2001 book, Zero Tolerance: Resisting the Drive for Punishment in Our Schools. In 2012, Ayers led in the writing of a brief titled Increasing Safety Through Restorative Justice: Making Schools Safer for Girls and LGBTQ Students of Color in Chicago’s Public Schools, wherein he again suggests restorative methods like peace circles, student trials, and peer conferences as an alternative to the “disproportionate disciplinary referrals and sanctions” of LGBT students and students of color. The radical ed organization, Rethinking Schools, says restorative justice in schools is a victory for activist educators like Bill Ayers and his wife, Bernardine Dohrn, who have been fighting the “school-to-prison pipeline” that they believe exists because of the unfair suspension and expulsion of students of color. Apparently, the Obama administration agrees. Just prior to the launching of the current $63 million DOJ initiative, the US Department of Education published a Resource Guide for Improving School Climate and Discipline, recommending “alternative disciplinary approaches such as restorative justice” to counter the “racial and gender disproportionality in school punishment.” Resources on “ending the school-to-prison pipeline” are referenced in the footnotes. Although this DOE resource and accompanying DOJ initiative are recent, the Obama administration’s push for this kind of alternative discipline program is not. Before deciding to throw $63 million in tax payer dollars into restorative justice and like programs, the Obama Ed Department first tried its overreaching hand at forcing districts to implement them. EAGnews recently reported that, in 2011, the Obama administration accused the Los Angeles Unified School District of discriminating against black boys who were “suspended for bad behavior at a disproportionate rate.” The district was then ordered to “reduce suspensions in hopes that unruly minority students would stay in school and graduate.” However, the results have been disastrous for teachers and other students in the district who are trying to learn admid the chaos. Specifically, EAG reported that educators in the district told IBD that even with a restorative justice counselor, they still have the same problems, except now, kids aren’t even being suspended for serious offenses like fighting, drugs, and threats against teachers. Instead of being kicked out of school or suffering other serious punishment, even repeat offenders get ‘restorative justice’ therapy. Talk invariably turns to racism and ‘white bias.’ Teachers are trained to make sure black kids ‘feel respected. Couple this with the social justice curriculum thousands of schools are now teaching, and it might seem this is what social justice education looks like when firing on all cylinders. But it’s not – there’s more. In other words, instead of accountability and consequences for bad behavior, troublesome students – who, through the lens of ‘cultural competence’ and ‘justice’, are viewed as victims of a racist system – are given more free stuff. Despite using restorative justice to some degree in the district for several years, OUSD also faced a 2012 Department of Education civil rights investigation into high suspension and expulsion rates among African-American boys. At the local level, districts receiving restorative justice grants, like Rhode Island’s Central Falls School District, for example, are working with their state departments of children and youth services to integrate all family court juvenile justice data with education, health, and other relevant data on students. It stands to reason that the federal government will then have access to that data as well – for safety reasons, of course. Posted in WHAT ARE THEY LEARNING? Pearson Education, an official partner in the development of resources and tests for the Common Core State Standards, released a video series last week to share their ‘vision for the future of learning’. Although the technology shown by Pearson is impressive, these videos confirm the fears of many teachers about what will be expected of them and many parents regarding intrusive data mining of their children’s personal information. Pearson also confirms (again) Common Core’s global agenda as students are shown participating in ‘global learning’ activities much like the Model United Nations program I wrote about here (which Pearson actively supports). This vision of the future also entails teachers and school administrators having instant access to an individualized schedule on each student — not just an in-school/class schedule, but a schedule of the student’s activities and whereabouts outside of school. In the video, Victoria’s Story: School of Thought–A Vision for the Future of Learning, Pearson demonstrates ease of access to students’ personal lives by showing a teacher instantaneously pulling Victoria’s schedule and sharing with another teacher that Victoria has soccer practice after school that time of year. While it’s not clear from the video whether Victoria’s soccer practice is a school activity or part of an athletic organization not affiliated with the school, Pearson has shown that they believe educators should have knowledge of all extra-curricular activities students participate in. For example, Pearson documents like this one (Creating a Classroom Environment That Promotes Positive Behavior) discuss the importance of evaluating data on a student’s after-school activities and other factors of the child’s life at home and in the community. While this may be necessary for students with severe behavior problems or a criminal record, the student with the ‘behavior problem’ referred to in Creating a Classroom Environment That Promotes Positive Behavior is a child who simply cannot keep still and talks out of turn. Although Pearson apparently believes the more information the better, many parents would rightfully view this as a threat to their children’s privacy and safety, especially considering that student data is now being shared and sold all over the country. FERPA laws that were put in place long ago to protect the privacy of student information were recently revised by the Obama administration to allow access to student data by third parties without parental consent. The U.S. Department of Education’s National Center for Education Statistics provides a data model (the National Education Data Model (NEDM)) listing hundreds of very specific individual data points of information on children that they believe “all education stakeholders” need for “effective instruction of students and superior leadership of schools”. The list of data points currently includes bus stop times, bus stop description, nickname, letters of commendation from any employer or community organization, any medals/awards for athletic or academic achievement, place of residence after the student graduates or withdraws from school, and a detailed reason for absences (family activities or vacation, family emergency, religious observance, etc.). Data points that were recently scrubbed from the National Education Data Model due to public outcry over their level of intrusiveness included blood type, eye and hair color, birth marks, and whether or not the student was born premature. The National Education Data Model was created through a partnership between the U.S. Department of Education (as funder) and the Common Core State Standards’ very-own Council of Chief State School Officers (as coordinator). According to Pearson, the School of Thought videos present “a vision of the future that integrates technology, neuroscience, and educational psychology into everyday life to make anytime, anywhere learning possible”. Take notice of those words — ‘neuroscience’ and ‘psychology’. The narrator of Victoria’s Story, Pearson’s own Jeff Borden, eerily appears around the corner to Victoria’s bedroom in the video and explains that students’ learning styles and needs will be constantly analyzed so educators will know “the time of day, part of the week, and the season of the year when each student is most productive”. So what kind of neuroscience and educational psychology is Pearson referring to for use in the constant analyzing of student learning and to know the time of day a student is most productive? The Department of Education document, Promoting Grit, Tenacity, and Perseverance: Critical Factors for Success in the 21st Century, recommends evaluating students’ emotions, anxiety levels, and physiological traits using neuroscience devices like computers or tablets that record facial expression. Other devices recommended will monitor students’ brain wave patterns, skin conductance, heart rate variability, posture, and eye movement. Get ready tax payers — if Common Core isn’t stopped, you will foot the bill for highly advanced devices that will be used to spy on America’s children 24 hours a day. Describing it as a “highly regarded organization”, Obama’s Education Department recommends the Bill Ayers-founded Small Schools Workshop for use in creating “learning environments that are supportive of perseverance”. The Small Schools Workshop is currently led by Mike Klonsky, a fellow 60’s radical of Bill Ayers, who once vowed to the communist government of China that he would lead the struggle to topple the U.S. imperialist ruling class. Read more about Klonsky here. The Department of Education document, Promoting Grit, Tenacity, and Perseverance: Critical Factors for Success in the 21st Century, also recommends the Coalition of Essential Schools, the progressive indoctrination movement behind CSCOPE and Common Core. This is the same document that has drawn attention in recent months due to content outlining invasive data mining techniques for use on students. Supposedly for the purpose of improving education, Promoting Grit, Tenacity, and Perseverance reveals that our government intends to turn children into human guinea pigs whose every expression, emotion, and physiological trait will be read, monitored and evaluated through devices designed to monitor facial expression, EEG brain wave patterns, skin conductance, heart rate variability, posture, and eyetracking. For our president to have history with these organizations and terrorists is definitely a concern. For these organizations to furtively infiltrate our schools under the guise of raising test scores and graduation rates is another cause for concern. But far beyond disturbing is the fact that our government recommends giving maoist, communist, domestic terrorists control over the ‘structure and culture’ of our classrooms, while also suggesting that grossly instrusive methods be used to collect and store extremely personal information on every child. Let’s not forget that there are several former Weathermen/Weather Underground Organization members involved with both the Coalition of Essential Schools and Small Schools Workshop, and that those same people were reported to have discussed and planned the rounding up, re-education, and extermination of American citizens. To read more about the Coalition of Essential Schools, go to the Common Core/CSCOPE/CES Connection page. To see the other communists and terrorists behind these organizations, go to Name Names. Posted in COMMON CORE/CSCOPE - GENERAL, WHAT ARE THEY LEARNING?